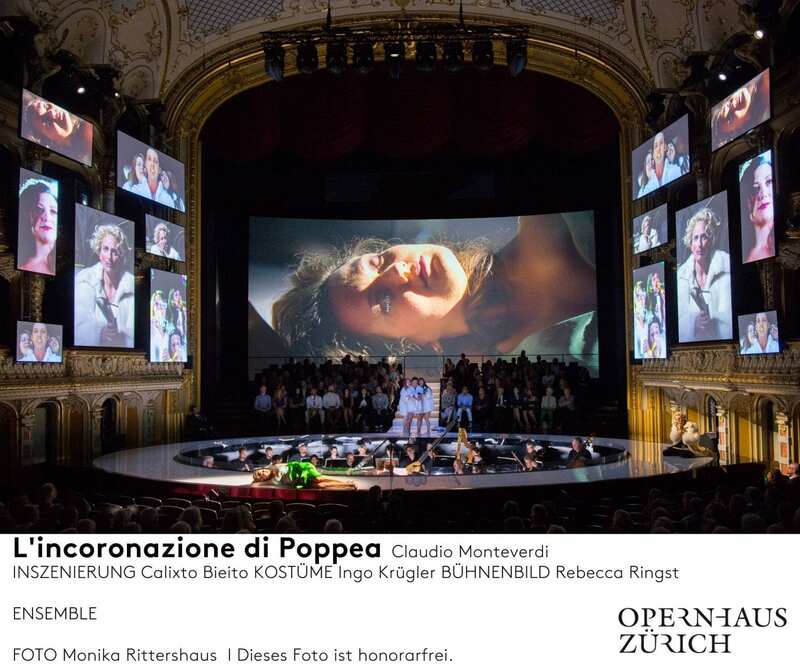 The famous Zurich Opera House continues to use Christie technology with the recent addition of Christie Terra to complement the Christie Boxer 4K30 projectors and Christie Pandoras Box already in use. Now, the Christie infrastructure is taking the onstage production of ‘L’incoronazione diPoppea’ to new heights thanks to Christie Terra’s ability to switch, scale and extend signals of 4K video content. 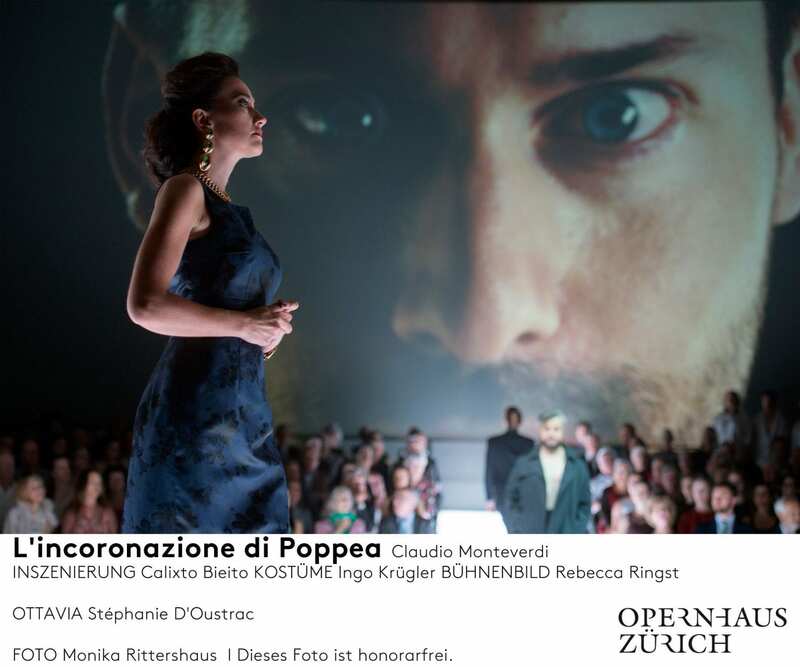 Written nearly four centuries ago, ‘L’incoronazione di Poppea (The Coronation of Poppaea) remains a highlight in the operatic genre to this day, portraying mankind’s vanities,passions, and darker side. 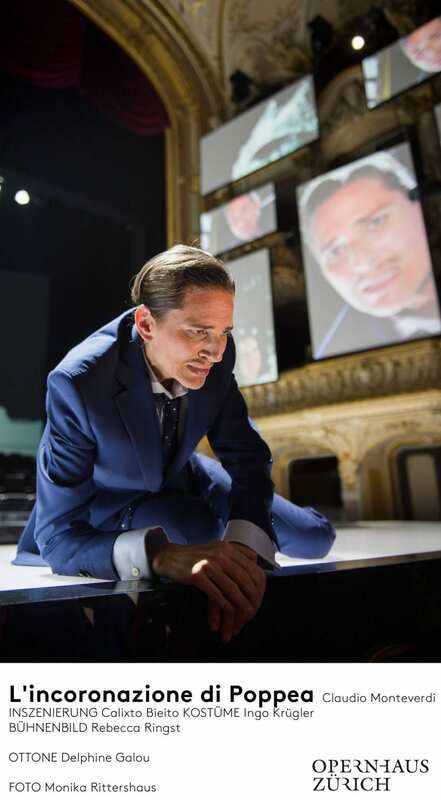 The opera also reflects our selfie-obsessed culture complete with oversized images of the actors projected onto 16 x 9-foot screens on the auditorium’s balconies using Christie Boxer 4K30 projectors with 4K content fed by Pandoras Box and Widget Designer. 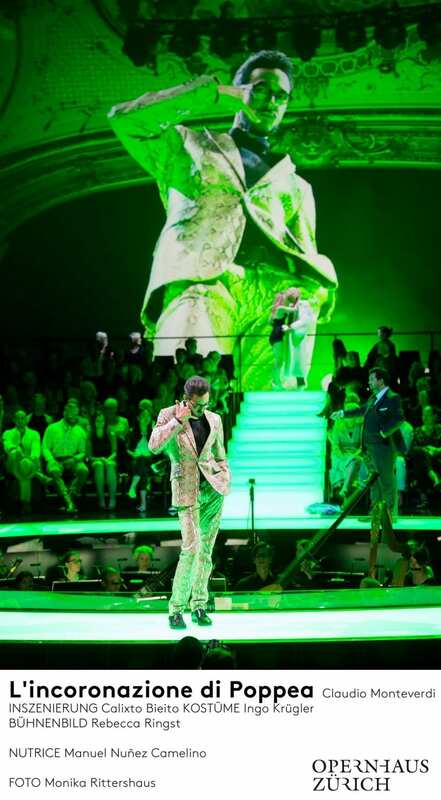 Dramatic scenes and large, projected images of actors moving on the catwalk around the orchestra pit were captured on video as part of the pre-production,which were then displayed in both portrait and landscape mode. 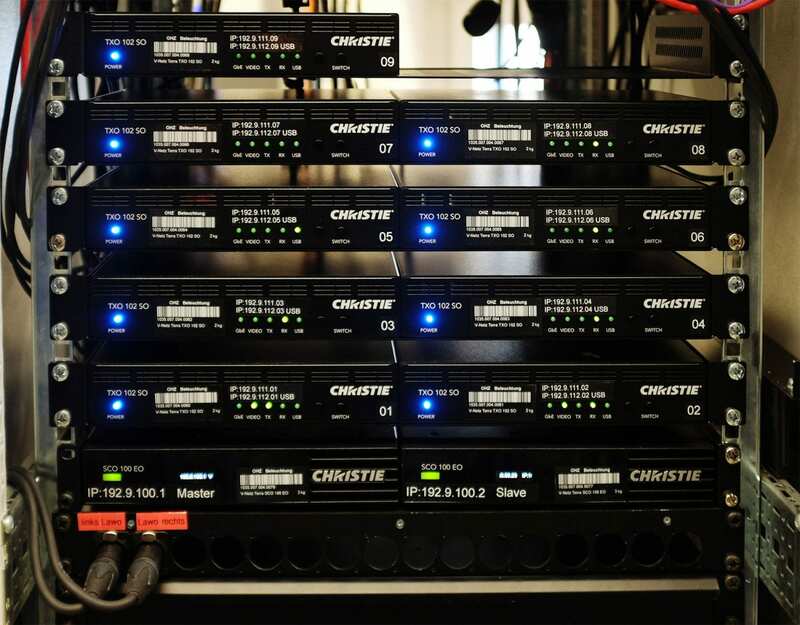 Christie partner, smARTec, supplied nine Terra transmitters,seven Terra receivers, and two Terra controllers to manage the routing ofcontent from transmitters to receivers. 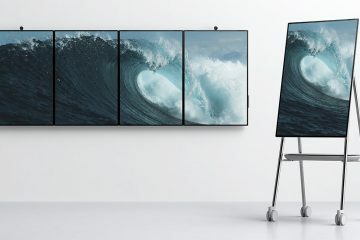 The system also includes a multi-viewer for confidence monitoring of content. At Zurich Opera House, Christie Terra is transmitting the data over 10G Ethernet from Christie Pandoras Box servers and cameras to the Christie projectors, artefact-free, supplying images for the video mapping and stage projection, as well as to the director’s preview monitors. Christie Terra is an AV over IP system, based on SDVoE technology (Software Defined Video over Ethernet) and for ‘L’incoronazione di Poppea,’ a 4K projection solution complete with a media playback and AV over IP system to distribute and extend 4K/60Hz content was necessary. “It would have been a huge effort to use monitors or LED walls for the 14 screens,” explains Elfried Roller, deputy head of lighting, Zurich Opera House. 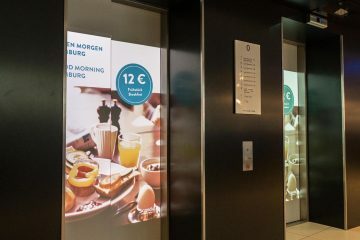 “We had the idea of projecting the images upright across the balconies, using Christie Boxer 4K30 projectors in sound-insulated cases. A 1080p feed would have been too little for the individual screens, and so only a native 4K feed was an option. 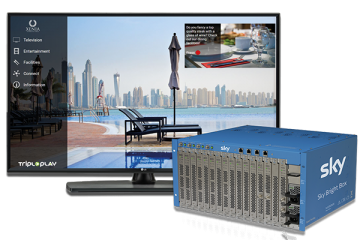 The Christie Terra enables latency-free transmission of the native 4K signals (4:4:4 at 60 Hz) and guarantees multiple use of the input signals for confidence viewing. There is no need for a fibre optic crossbar or for re-plugging. “The possibility of productions using multi-viewers, projection previews and live cameras makes our work a lot easier,” says Elfried. Christie Terra’s performance went off without a hitch. “We were very satisfied with the complete solution of Pandoras Box servers, and Terra AV over IP SDVoE technology solution, as well as the Boxer 4K projectors. Receiving everything from one source is very convenient for stage operations, or when we need efficient support for our system,” Elfried explains. The Terra platform provides an efficient method for anycombination of transmitters and receivers on a network and multi-view confidencemonitoring can be easily supported by adding another receiver, says the maker. 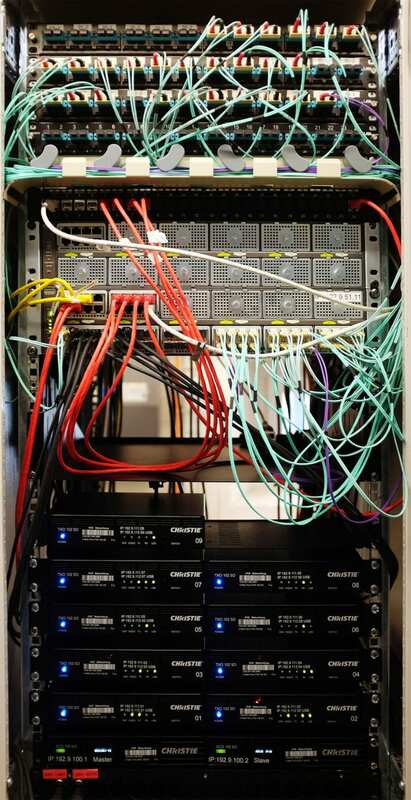 The manufacturer also argues that Christie Terra is more efficient than traditional fibre switching designs, which require several more outputs supplied to an additional multi-viewer device.